Q2: Warranty9 A2: Normally the alarm panel will be 2 years, and the accessories will be 1 year. If you have specified shipping agent, we will contact them and to deliver your goods. 2) If you do not have specified shipping agent, we will delegate a credible one for you to deliver your goods. 4 YRS Shenzhen Home Warning Security Technology Co., Ltd.
4 YRS Shenzhen Chuangan Security Electronics Co., Ltd.
7 YRS Shenzhen BOS AILIF Security Technology Development Co., Ltd.
1 YRS Shenzhen Greatstar Technology Co., Ltd.
6 YRS Shenzhen Yuanhang Electronic Co., Ltd. So please don't worry for it, as we wanna long-term business cooperation with customers. Q: 2. Can I have a sample order9 A: Yes, we welcome sample order to test and check quality. Q: 3. What is the lead time9 A:Sample needs 1-3 working days, mass production time needs 5-15 working days depends on order qty. 2 YRS Shenzhen Zuden Technology Co., Ltd. 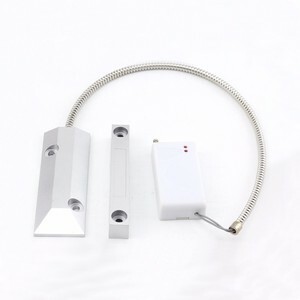 Wired Rolling Door Sensor/Shutter Sensor - Overhead Mount : Easy installation, power saved, non-false alarm. It is specially designed for rolling door to prevent any illegal access. Easy installation on the rolling door can send out the alarm to frighten the burglar and awake the owner. 12 YRS Shenzhen Safety Electronic Technology Co., Ltd.
-- We offer reasonable price by improving the technology and management You care for service! -- We provide all-sided services by our efficient teams You care for innovation! 4. 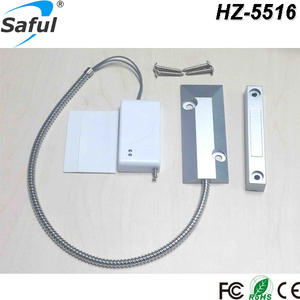 Why is it recessed mounted9 We also have surface mounted magnetic switch. 1 YRS Shenzhen Brojen Electronic Technology Co., Ltd.
6 YRS Shenzhen Pilot Guards Safety Technology Co., Ltd.
11 YRS Shenzhen E-5continents Co., Ltd.
5 YRS Shenzhen Daying Electronics Technology Co., Ltd.
8 YRS Shenzhen Lydian Technology Co., Ltd.
1 YRS Ningbo Sentek Electronics Co., Ltd.
Control panel application . for drawers and control panel application . Wire range for Screw terminals: 18AWG~24AWG . 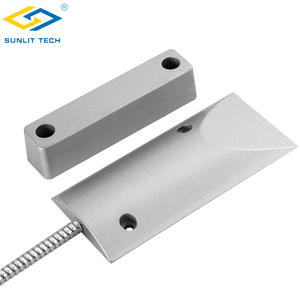 14 YRS Ningbo Sentek Electronics Co., Ltd.
Abs Recessed Home Security Roller Shutter Magnetic Contacts Door Sensor Sentek's ZC-200 recessed sensor is a battery-powered Z-wave magnetic door/window contact sensor. ZC- 200 send radio signals when the Switch and actuate-magnet separate. By take advantage of Z-wave mesh network, commands can be routed to their destination via intermediary "listening" Z-Wave products. 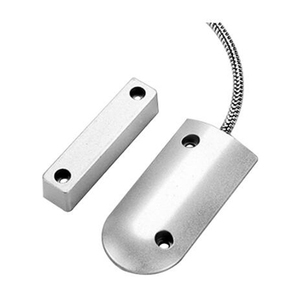 Tube Shutter Automatic Door Alarm Sensor Magnetic Reed Switch Waterproof is an electrical switch operated by an applied magnetic field. It consists of a pair of contacts on ferromagnetic metal reeds in a hermetically sealed glass envelope. The contacts may be normally open, closing when a magnetic field is present, or normally closed and opening when a magnetic field is applied. 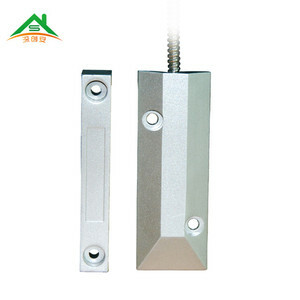 Alibaba.com offers 1,799 shutter door sensor products. About 60% of these are doors, 30% are alarm, and 2% are sensors. 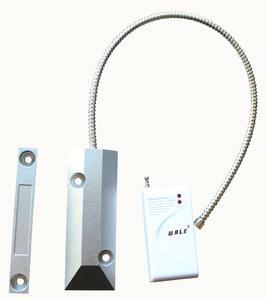 A wide variety of shutter door sensor options are available to you, such as door, auto, and personal. You can also choose from free samples, paid samples. 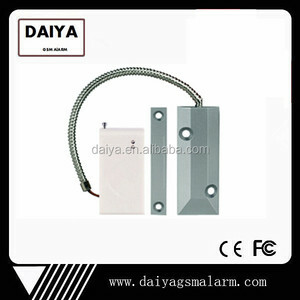 There are 1,799 shutter door sensor suppliers, mainly located in Asia. 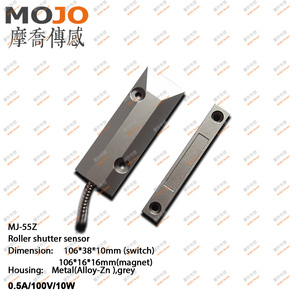 The top supplying country is China (Mainland), which supply 100% of shutter door sensor respectively. 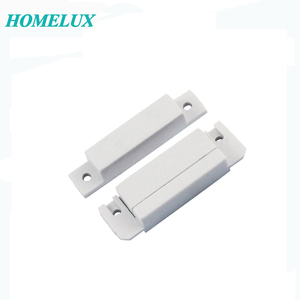 Shutter door sensor products are most popular in Africa, Mid East, and Domestic Market. You can ensure product safety by selecting from certified suppliers, including 922 with ISO9001, 179 with Other, and 23 with ISO14001 certification.